For years, a stereotype has been fostered by the media, and now social media, that older people are just not that savvy when it comes to new technology. This false perception contributes to age discrimination that affects the older job seeker. Two companies, DROPBOX and Ipsos Mori, have surveyed more than 4,000 information workers in the U.S. and Europe about their use of technology in the workplace. The survey has revealed that workers aged 55+ are actually less stressed using technology in the workplace than their younger peers. The results also showed that older workers are actually BETTER at using multiple devices than their younger peers - only 13% of respondents aged 55+ reported having trouble working with multiple devices compared to 37% of 18-to-34-year olds. 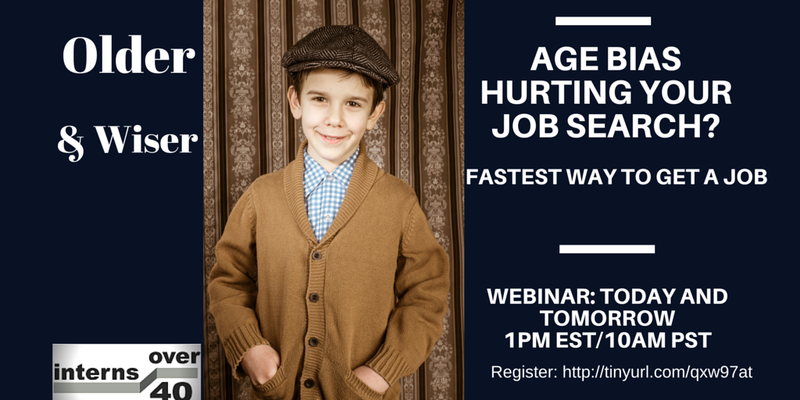 If you are an older job seeker, don't PERPETUATE the stereotype of the obsolete older worker. Be sure to keep your skills AND resume up-to-date. Create your killer resume HERE. If you haven't been in the job market lately, it might not be your job skills holding you back but your JOB HUNTING skills. CLICK HERE for a free assessment.